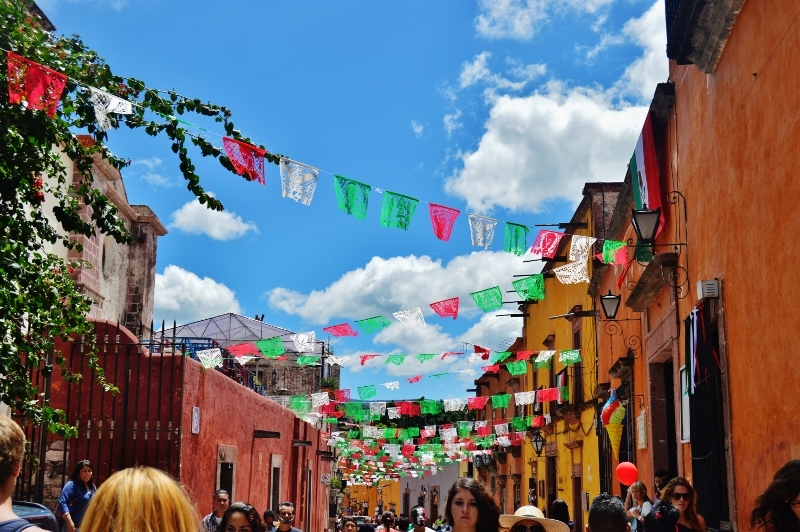 We’re practically on national holidays and many want to plan an outing with the family, here you will find the most symbolic places with some tips for an unforgettable Independence Day of Mexico on this September 15 and 16. 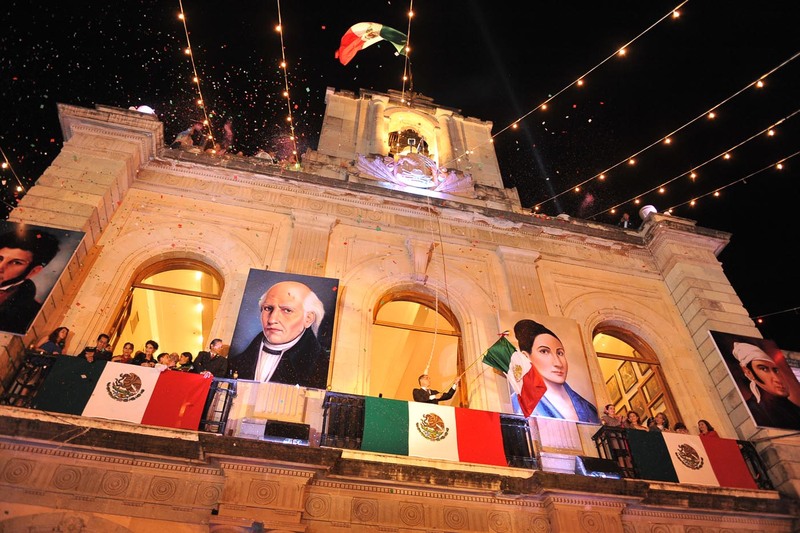 This is a magical city and the top place to celebrate the Independence Day of Mexico because it is the city where the night of September 15, the father Don Miguel Hidalgo y Costilla called the people from the parish of Dolores to take up arms and began the struggle for Independence. Nothing could be more symbolic, to celebrate outside the parish where this great event originally took place. 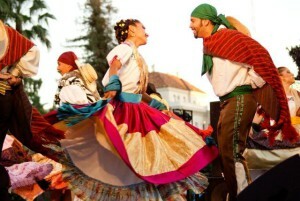 In this city you can take a tour in a bus to know the colonial city and the parish, also you can visit the Museo Casa Hidalgo is the house in which the priest lived and was declared a National Monument. 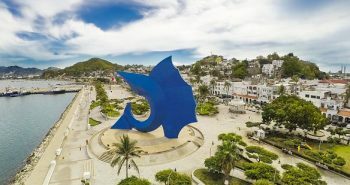 Also visit the Museum of Independence, the Mexican author José Alfredo Jimenez Museum, the Mausoleum, La Hacienda de la Erre, House of visits (Baroque style, this is the place where leaders and officials stay) & Crafts (Here you can find potters and ceramists that are distinctive of Guanajuato). Also you can eat delicious mexican food like mole or chiles rellenos. For dessert enjoy an ice cream of different flavors like exotic cactus, avocado, tequila or mezcal. This city retains a colonial style, in one of his old but elegant mansions born the right arm of Hidalgo: General Ignacio Allende. At night on the Independence Day of Mexico, hundreds of visitors gather in the main square to hear (around 10:30) the “Independence scream” given by the mayor of the city. In 1810, Doña Josefa Ortiz de Dominguez, wife of the mayor of the city, discovered the conspiracy against the colonial governor, and sent a letter to Father Miguel Hidalgo. Because of this, he rang the bells of the parish and took up arms early on September 16. The tourist sites are: the house of the magistrate in the city center, the Aqueduct, the Cathedral (Temple of San Felipe Neri) and the Theatre of the Republic. 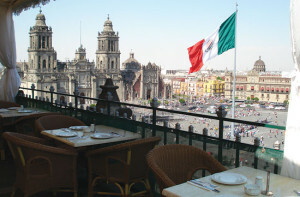 In Queretaro there are beautiful colonial hotels and exquisite cuisine. You can not miss the fireworks show projected from across the historic center for the Independence Day of Mexico. In this city, Miguel Hidalgo on September 28, 1810, sent a letter of intimidation to the mayor of the city to deliver the square. As he did not have an answer, he decided to conquer by force and start the first battle, known as “the taking of the Alhóndiga”. The main tourist sites are: Juarez Theater, the Kiss Alley, the Plaza de la Paz, the Mummy Museum, La Valenciana (church), among others. Being here, you can not miss the Museum of Independence, located in the center and take the opportunity to buy crafts typical of Guanajuato. 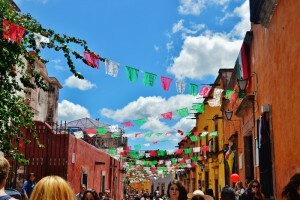 The festivities take place in all the alleys of the city, but especially in the Jardin Union, the main rallying point. 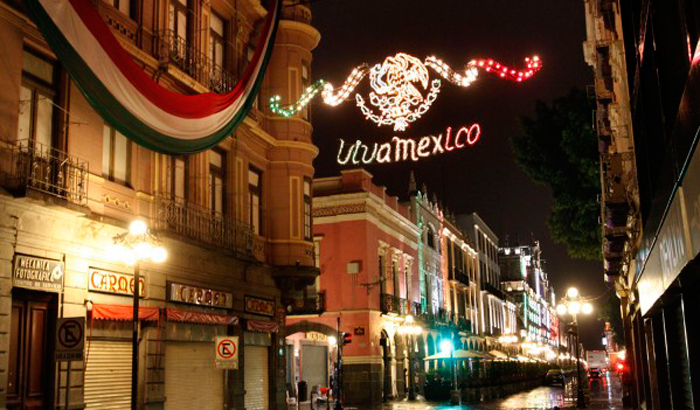 During the celebrations for the Independence Day of Mexico in September, this city gets completely different, the main buildings around the Zocalo become a spectacle of lights and Paseo de la Reforma is illuminated with patriotic colors. 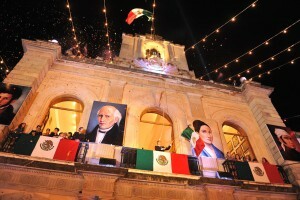 On September 15 the President gives “The Scream” from the balcony of the National Palace, accompanied by a festival of lights, fireworks and music with mariachi. All bars and restaurants in town join the celebration. 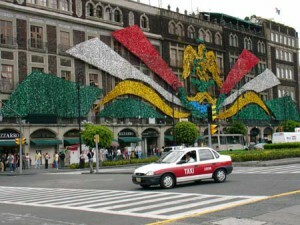 The next day the military parade performance starts from the Zocalo and ends at the National Auditorium. 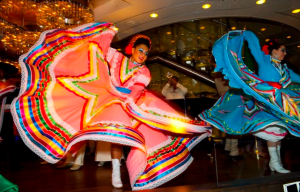 Beautiful hotels in Puebla are a reason to go for a few days and especially during the Independence Day of Mexico weekend bridge by its colonial style and the beautiful views of Popocatepetl. 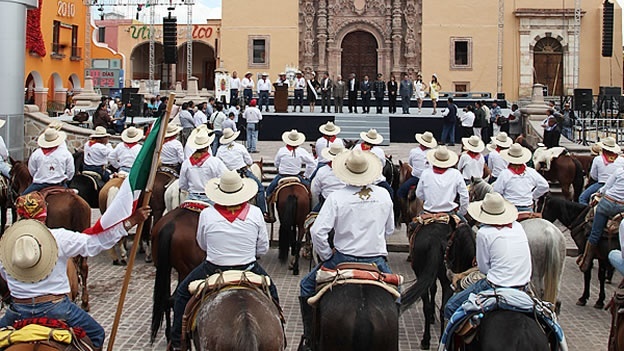 The historic center of the city has been declared a World Heritage Site for its architectural beauty. If you prefer to take your national pride abroad, then Las Vegas, Nevada is the perfect choice for you! Go to Las Vegas for the Independence Day of Mexico is tradition for many Mexicans who manage this city put on the national colors during the weekend. 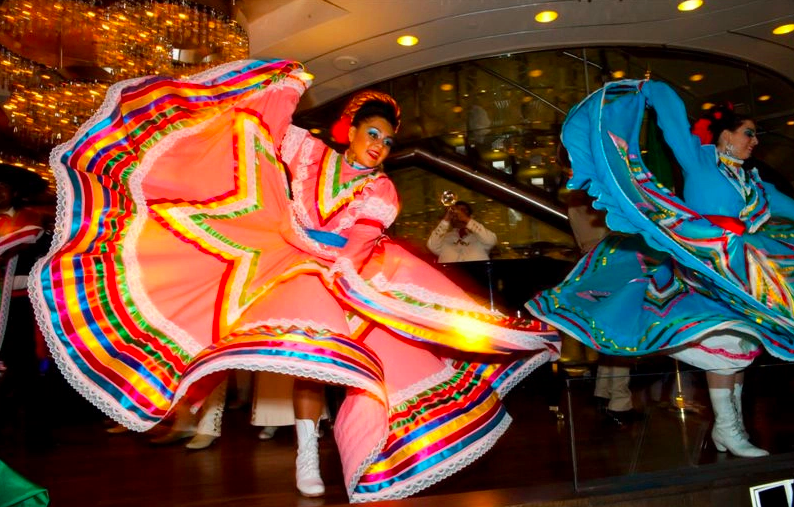 In addition, Mexican music is well represented with Mexican artists like Alejandro Fernandez, Carlos Santana, Lila Downs, Marco Antonio Solis, Luis Miguel and there is even an international mariachi festival. 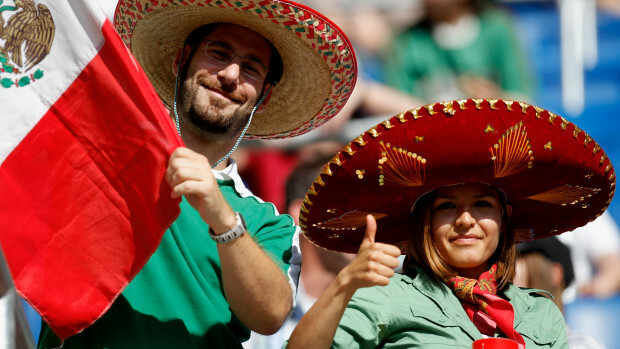 On the other hand, it is a tradition that at this time, or even the same September 15, a boxing match in which a Mexican defends the sport is held. 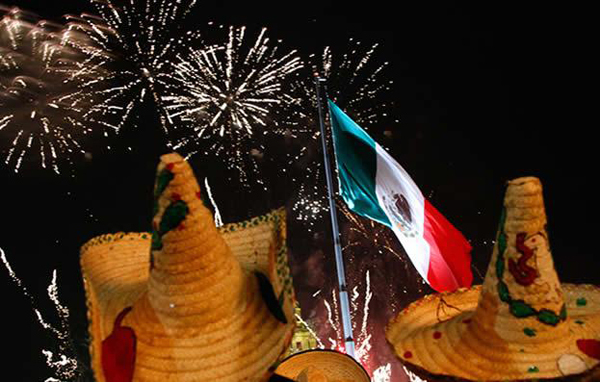 Therefore, the Independence Day of Mexico is to Las Vegas and its visitors the opportunity to celebrate and honor the cultural heritage of Mexico in a dynamic and fun way. 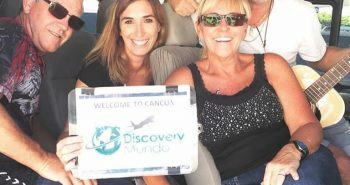 If you have decided that Cancun and the Riviera Maya is your destination for the Independence Day of Mexico, we recommend that you spend a whole day and enjoy a park with water activities in addition to its main theme the traditions of our country. 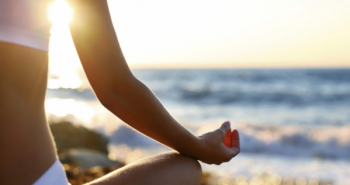 September is the cheapest month to visit Cancun, so get advantage of it! 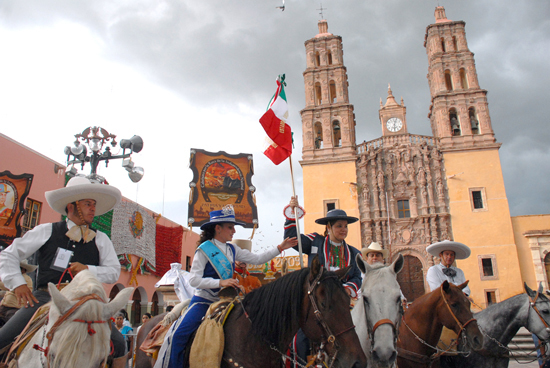 You do not want miss the spectacular show that will beat Mexico pride to your heart.